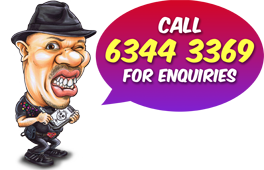 Customer requested for a caricature to be presented as a farewell gift to leaving colleague. The caricature is for our colleague —-. Please find attached some photos of our colleague. 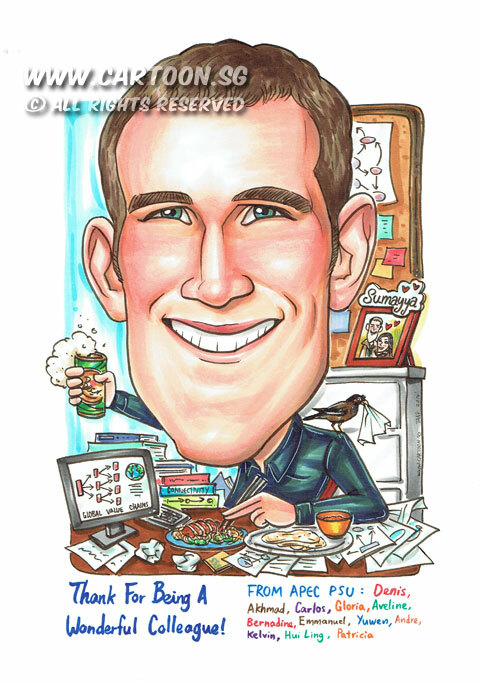 He is a Researcher in our unit and has been working on Connectivity and Global Value Chains– it would be good to have a computer screen or books with those words in his caricature. He is a big guy—more than 6 feet tall—so it might be good to play around that in the caricature. He likes beer, Indian food and Vietnamese dry pork noodles, so it would be good to add that too. He is very devoted to his girlfriend —-—she is in some of the pictures I sent—so a picture frame with her would be nice. Also, please have one or two mynah birds picking on some crumpled paper on the floor.